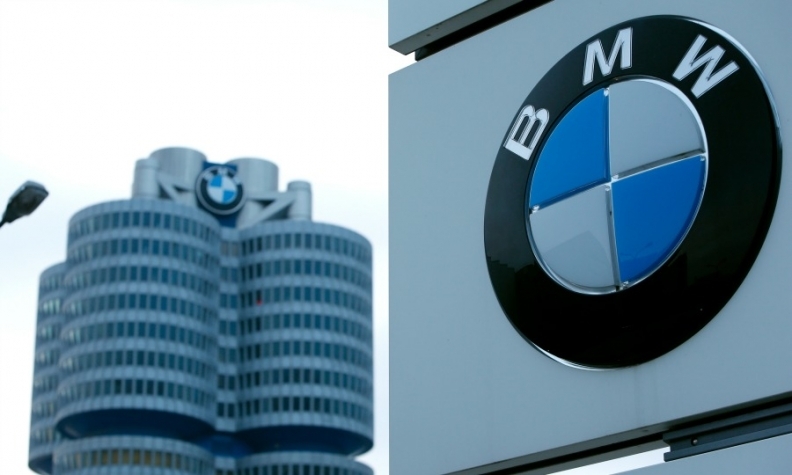 BEIJING -- A Chinese electric-vehicle company backed by Tencent Holdings Ltd. and Foxconn Technology Group has hired a team of managers from BMW Group's i subbrand, according to people familiar with the matter. Dirk Abendroth, Benoit Jacob and Henrik Wenders will join Future Mobility Corp. as vice presidents of software and connectivity, design, and marketing, respectively, according to the people, who declined to be identified before the information is made public. The executives will join Carsten Breitfeld, the former project manager for BMW's i8 plug-in sports car hired to be Future Mobility's CEO. Future Mobility, which also counts dealership group China Harmony New Energy Auto Holding Ltd. as a shareholder, is one of several electric vehicle startups getting backed by technology companies in China as the government seeks more innovation within its auto industry. Policy makers have also earmarked new-energy vehicles, the government's term for plug-in and fully-electric autos, as a strategic, emerging industry for support. Michael Rebstock, a spokesman for BMW, declined to comment. A representative for Future Mobility, and Canny Lo, a spokeswoman for Tencent, didn't immediately respond to emailed requests for comment about the hires. Abendroth and Wenders said in emails that that they're joining Future Mobility, while Benoit didn't immediately reply. Chinese electric-vehicle startups are driving competition for experienced auto industry executives and Silicon Valley talent as they seek to produce connected, highly automated vehicles. NextEV Inc., started by Chinese Internet entrepreneur William Li, appointed Padmasree Warrior, Cisco Systems Inc.'s former technology chief, to lead its U.S. operations. Faraday Future Inc., the electric-car startup backed by billionaire Jia Yueting, hired Porter Harris from Space Exploration Technologies before he left to the company. Future Mobility has previously said it plans to create a "premium brand with Chinese roots and a global reach." Besides Breitfeld, the company has hired Daniel Kirchert, the former head of Infiniti China, as chief operations officer. The company will base research and development in Shenzhen, where it's headquartered, and have R&D units in Europe and Silicon Valley to focus on powertrain and autonomous driving, respectively, according to the people. Future Mobility also plans to have a plant in China assembling autonomous electric vehicles. Tencent is Asia's biggest Internet company, while Foxconn is a key assembly of iPhones, iPads and other Apple Inc. products.